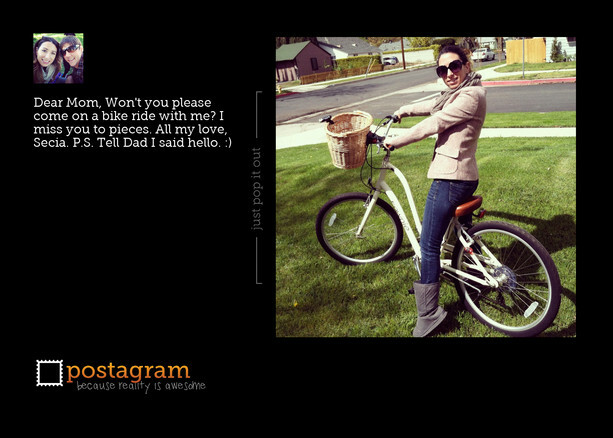 I am absolutely in love with my postagram app! It's so much fun sending personalized postcards to my loved ones, far away. My favorite part, they also print the message on the back of the photo so when you pop it out you'll always have that little note. I sent these in an effort to tempt my parents to come out to Los Angeles for a visit. I'm completely addicted... keep your eyes peeled, you might even find one in your mailbox soon. That is so neat! I definitely will have to check that out, cool!! okay, i really need to download this app because it is absolutely adorable!!!! 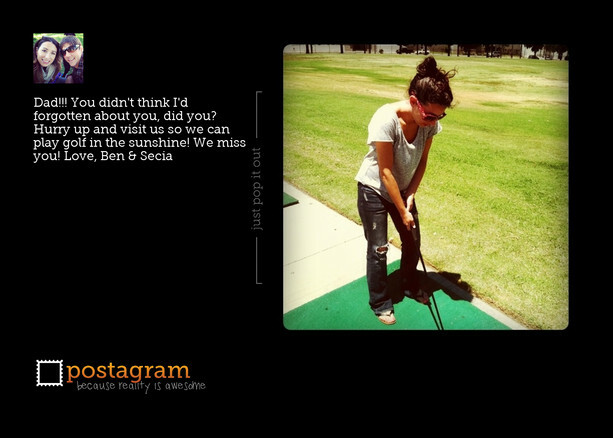 that is such a cute idea....ughh i don't have an iphone though :( still, this is a great idea.